Voxengo has announced a time-limited offer for its Custom Drum Track Recording Service, an online service providing drum tracks for your tracks. Voxengo is happy to present you the custom drum tracks recording service. Here you can order real custom drum tracks for your songs on-line. The drum track will be played by an experienced drummer and recorded in our recording studio. 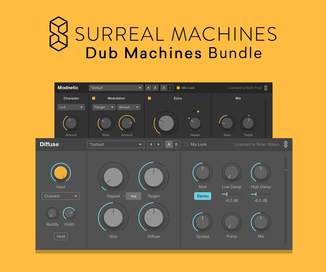 As a result we provide overhead, side and room microphone tracks together with separate snare drum, bass drum and tom drum tracks. 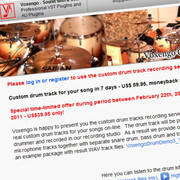 The custom drum track recording service is available for $39.95 USD until March 8th, 2011 (regular price $59.95 USD).